According to Casey, belief in the resurrection of Jesus was one of the earliest aspects of the Christian faith, and was based on visionary appearances witnessed by his earliest followers. But the manner in which these visions were experienced and interpreted by Jesus’ followers was determined by Jesus’ own prediction that he would die and subsequently be raised to life again (p. 456). 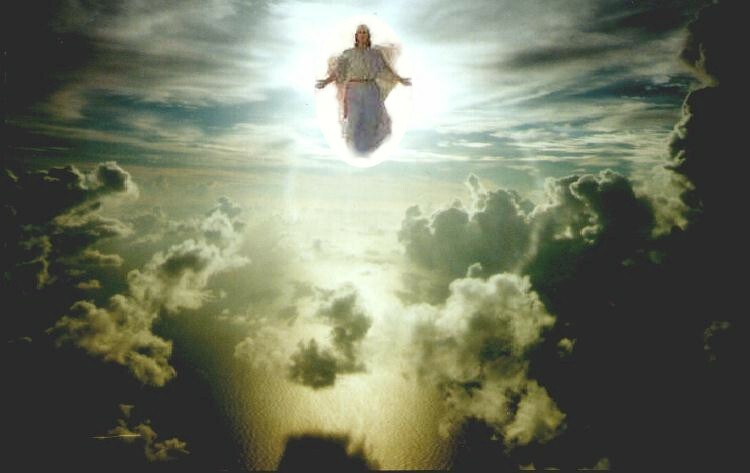 In a series of sayings which Casey concludes originates with the historical Jesus, Jesus, speaking of himself as “the son of man” (ὁ υἱὸς τοῦ ἀνθρώπου), predicts that he will rise again after three days (Mark 8.31; 9.31; 10.33-34). Furthermore, as Casey argues, in addition to Jesus’ prediction of his death, Jesus deliberately provoked his own crucifixion. His journey to Jerusalem and challenge to the temple authorities should be viewed as a deliberate attempt to effect his own martyrdom. In short, Jesus was on a suicide mission. Therefore, concludes Casey, the nature of the post-resurrection visions is a reflection of Jesus’ own teaching about his future death and resurrection; they are not just the Church’s invention, not – for example – an ad hoc explanation why their hero had met with an untimely death. Instead, Casey holds that, Jesus deliberately followed in the steps of the Jewish prophets and more recent Maccabean rebels, inviting his own martyrdom. Moreover, following the Maccabean belief in the post-mortem vindication of righteous martyrs, Jesus believed that following his death, he too would be given eternal life. Moreover, if “son of man” is titular here, this passage assumes a preeminent position of Jesus on the day of judgment, as judge of the living and the dead. This is consistent with the preeminent heavenly position Jesus saw for himself in his discussion with John and James, and of which his disciples were well aware. The role of Jesus as the judge of the whole earth on the Day of Judgment, and the imminence of this eschatological finale, can be found throughout the New Testament (e.g. Rom. 8.34; Eph. 1.19-23; 2.6-7; Col. 3.1-4; Phil. 2.8-9). This authentic saying of Jesus in Luke 12.8-9 also shows that the belief in a unique apocalyptic role goes back to the historical Jesus. By contrast, Casey argues that “son of man” merely refers to “a man”, that is, that those who confess Jesus on Earth will find somebody-or-another giving them a favourable report in Heaven – not the Son of Man figure. Conversely, when in Luke 12.9, Jesus notes that those who deny Jesus “will be denied”, Casey claims that the denial is by God himself, not by Jesus in his judgment role as “Son of Man”. While, as noted, Casey’s interpretations are possible, they do not seem to offer the better interpretation, and this is so in particular because of the very close match between the “Son of Man” figure here in Luke 12.8-9 and the other New Testament passages in which the figure doing the judging of the living and the dead is Jesus. The most economic explanation must be that in claiming this particular role of eschatological judge and preeminent heavenly power, Jesus is claiming precisely the role of the Son of Man. Casey accepts that Jesus predicted his death; he accepts that Jesus predicted his preeminent position in Heaven; but he does not consider that the “Son of Man” sayings which tell of both Jesus’ earthly suffering and heavenly exaltation refer exclusively to Jesus. But for the reasons given, I would go that extra step. Jesus understood himself as having an important, even singular role in the entire cosmos. He understood himself as the successor to the lost Davidic kingship in Israel, the eschatological judge of all humanity, destined to be the second power in Heaven under only God himself. Although Casey disagrees, I conclude that Jesus, not just his followers, described this particular role of power and judgment with the term the “Son of Man”. The term Son of Man, so distinctive on the lips of Jesus, was learned by Jesus through instruction by John the Baptist and appropriated through Jesus’ own visionary experiences. 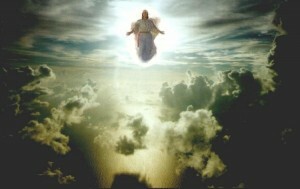 Following two centuries of speculation concerning the intriguing description of the principal heavenly angel and harbinger of the eschaton as being “one like a (son of) man” in Daniel 7.13-14, the concept of the Son of Man was developed, and this concept in particular – which was evident in essence in the Similitudes – provided Jesus with his self-understanding as eschatological judge of all humankind, both a transformed man and leading power in Heaven. While the Jesus Seminar and other nineteenth-century liberals like to present Jesus as a cuddly wind-up toy whose string you can pull and make him recite any of a few dozen comforting aphorisms (to borrow an image from Joseph Hoffmeier), the historical Jesus turns out to be more of a David Koresh-type demagogue with an overinflated estimation of himself than some harmless Cynic philosopher. While the Jesus Seminar and other nineteenth-century liberals like to present Jesus as a cuddly wind-up toy whose string you can pull and make him recite any of a few dozen comforting aphorisms, the historical Jesus turns out to be more of a David Koresh-type demagogue with an overinflated estimation of himself than some harmless Cynic philosopher. Yep, that’s a perfect way to go out. The analogy of David Koresh isn’t inappropriate, and I’ve used it plenty myself, though for whatever reason I find it raises hackles even amongst those inclined to accept the deluded apocalyptic model. A fine job again, and good presentation of and engagement with Casey. I’ve got the strong feeling I’ve heard this “pull the string” description of the Jesus of the Jesus Seminar somewhere, but I can’t place it. Fortunately, I can add a citation when somebody tells me, so it’s a temporary plagiarism. Dear Deane :) It’s refreshing to read all of your fine reviews, independent minded professional scholarship, honest and thorough and thoughtful. And that, regrettably, is a rare but treasured thing to find in this field. Thank you!! As for the Jesus Seminar’s puppet on a string – I’ve heard it before too… I’ll send you a note. Oh! Stop it!! I’ll get a big head. Bigger head. just keep the beard :) It doesn’t really make you look like NT Wright. Did that make you shrink a bit? One slight query – in your last paragraph you seem to imply that late Second Temple speculation about a principal angel figure is dependent on “kevar ‘enash” in Dan 7.14. But couldn’t this tradition be much more complex – for example, couldn’t 1 Enoch 71.14 belong to an entirely separate tradition that shaped the reception of Dan 7.14 retrospectively? 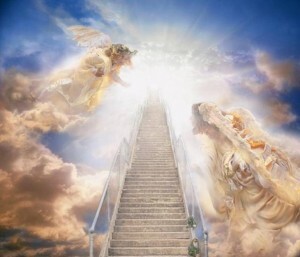 As I read Dan 7, “kevar ‘enash” is a principal angel, yes, but is also somehow the heavenly counterpart of Israel as “the people of the holy ones of the most high.” In 1 Enoch 71.14 “the son of man” is the heavenly counterpart of an individual, Enoch, who ascends into heaven and is transformed into his own heaven;y counterpart, anticipating the Metatron tradition in 3 Enoch. 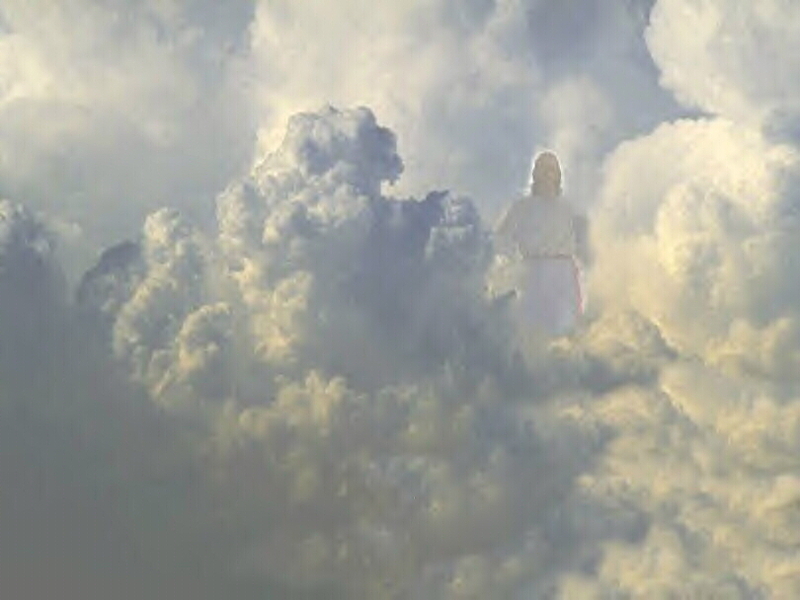 As I read the Gospels, Jesus seems to see himself as a quasi-Enoch figure who, when he has ascended into heaven, will be transformed into the son of man (thus 1 Enoch 71.14) and will then come on the clouds of heaven (thus Dan 7.14) and inaugurate the kingdom. There is a complex process of intertextual negotiation here, involving the mundane use of “bar ‘enash,” the titular use, the Enoch tradition, and the Daniel tradition, all of which contribute, between Jesus and the gospels, to shaping the earliest christologies. I agree entirely. I do think the influence of Dan. 7.13 is filtered through all sorts of known and unknown reinterpretations, yes, exactly. The words “Son of Man” in the mouth of Jesus was the result of a complex of what I described as “two centuries of speculation” originating with Dan. 7.13-14, a process which can’t of course be reconstructed now, and I’m not claiming any simple influence where there is an explosion of apocalyptic texts, movements, and practices. Saying that, I am largely persuaded that the Similitudes as a whole (including the end of it) is especially influential – whether directly or via JBap or others, who knows – on Jesus’ self-understanding. I reread it in the library last evening, and thought that this could very well have been Jesus’ main guidebook to almost all of his self-conception – as a “quasi-Enoch” figure, as you say. So, what do you make of Jesus? I argued this in an unpublished paper in about 2006, but not of the historical Jesus – it seemed to me at the time that the strongest evidence of influence from the Enochic traditions in general was in the material shared by Matthew and Luke, and I could almost envisage an early “Enochic” Jesus refracting a pre-existing set of Jesus-as-son-of-man-of-some-sort traditions, and being later woven together with Daniel traditions into the Synoptic Son of Man coming with the clouds of heaven. Research on the Similitudes has, until very recently, been warped by some very bad, unconfessed confessional scholarship that unjustifiably placed the Similitudes after the Synoptics for pseudo-historical reasons. ha! – “unconfessed confessional scholarship” – why confess when you can repeat the banal mantra “we’ve all got presuppositions” and continue on in your sin? The Hoff in 1993. Thanks! I’m sure he’s used it on New Oxonian as well – I’m sure that was where I read it. But I don’t know how to do these internet searches. he refers to the ‘offensive’ analogy in ‘Letting go of Jesus’. Since this seems to be getting neglected, I would like to take the time to compliment you on the quality of the 1970s-airbrush-style Jesus art, some of which is so awful that it would shame the Mormons. 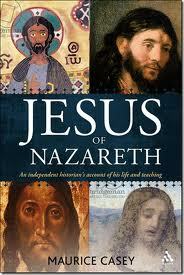 Well done; it is such a comfort to know that Jesus was a strapping, exceptionally pale-skinned Aryan. thanks for sharing these great reviews with us. After grappling with the SOM question for years I´ve concluded that the problem is basically without solution (despite Maurice Casey´s assertion to the contrary in the title of his book on the SOM problem). That said I still think Casey is probably closer to the truth than the sketch you give of the development of the term on the lips of Jesus (no, I doubt John the Baptist taught Jesus about the true meaning of the SOM in Daniel…). I agree with Casey that almost all the SOM sayings about Jesus coming back in heavenly glory can be ascribed to the early Church ( Matthew 25:31 et al…). Contrary to Casey I have serious doubts about Jesus having used the expression bar enasha in a generic sense in a saying like Mark 2:10. As far as I see it the SOM only makes sense in circumstances like this if SOM refers exclusively to Jesus who has been handed special powers by God. Thats at least how Mark, Matthew and the others understood it. But who knows? They could of course have lost the original meaning. an uncertain future). But to go from there to having Jesus predicting that he would be killed and then resurrect after three days is a step too far for me. It doesn´t make sense. At least if we are to believe the gospels portrayal of Jesus closest disciples as feebleminded cowards who fled in panic as soon as things started getting nasty on the Mount of Olives. 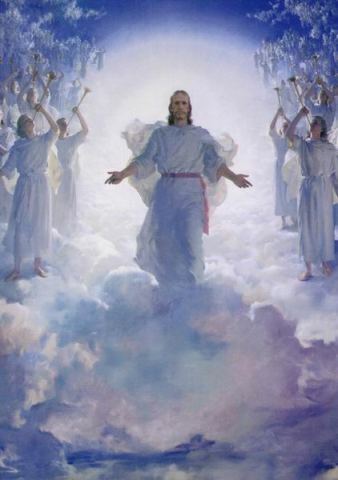 Knowing what I know about religious sects and gurus in real life I find it strange the Jesus disciples would have been such a frightened and disoriented bunch if Jesus had really prepared them for his death and his imminent vindication. Why flee, hide and cry all day long if you had spent months with a miracleworking guru who had promised that the greatest miracle of them all was still to come in a few days time? As I have said – it doesn´t make sense. That issue poked out at me also. But In the course of trying to reconcile my belief that Jesus did if fact more or less go about behaving like the “Son of Man” and actually predicted his death, which I think he did toward the end, how is it that the Gospels don’t include any discussions where the disciples are questioning how can the Kingdom be established if Jesus is killed. I think Jesus deliberately set himself up as a martyr but was somewhat cryptic about it to his disciples. I wonder if a saying like “Tear down this temple and in three days I will rebuild it” could be explained as Jesus meaning to say that if the Jewish Leadership were removed, he could return the Temple to the true worship of God and abolish the corruption and hypocrisy of the current administration, but in the post resurrection belief it came to be literalized. But what about the Sign of Jonah remark? Well for one thing, did Jonah actually die? Would Jesus’s hearers have understood that reference to be about a resurrection. It is used that way in the Gospel but it seems a little odd at the same time. To me it sounds like something that could have been created by searching the scriptures with a post resurrection belief. If anyone has any thoughts on how such a reference would have been understood by the Jews of Jesus time, I’d be very interested to hear it. I can only hope that you will extend your interest in restoring the accurate meaning of old expressions to the need or restoring the possessive case of the name “Jesus” to its established English usage, which is the beautiful form of “Jesus’s”. And this, in spite of all the distortions imposed by a horde of simple-minded believers in shying away from complex forms. Most ordinary folks — who are uncritical followers of those new prophets of linguistic purity who propagate what they believe is the good news and promote ” Jesus’ ” as the true form — are puzzled by suddenly discovering two “s’s” in this form, thought dead and buried, and do run away, afraid of saying anything about it. But modern historical critical enquiry has opened the tomb and revealed the truth of the existence of the form “Jesus’s”, which is already making converts among the scribes.